Spacious golf front home with excellent views of the golf course from the living room, dining room and den. Private courtyard w/ fountain welcomes guests to entry foyer opening to large living room w/ skylights, built-ins and lots of glass. Kitchen has ample cabinets, work space, pantry and breakfast area w/ bay window overlooks garden. Den welcomes casual entertaining by the fireplace w/ gas logs, wet bar and access to 30x12 deck. Enjoy hosting company in guest bedroom with large closet and on-suite bath. Oversize garage has lots of room for storage and workbench plus stairs to overhead attic storage. 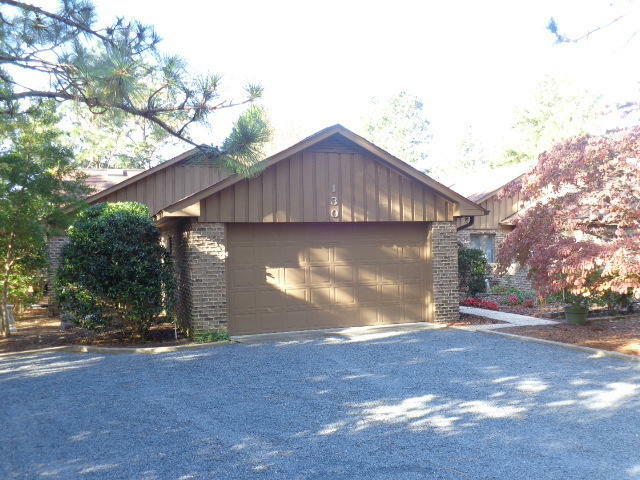 Low maintenance brick exterior and pine straw yard leave lots of time to enjoy the lifestyle at Midland Country Club with golf, pool & clubhouse for social activities.